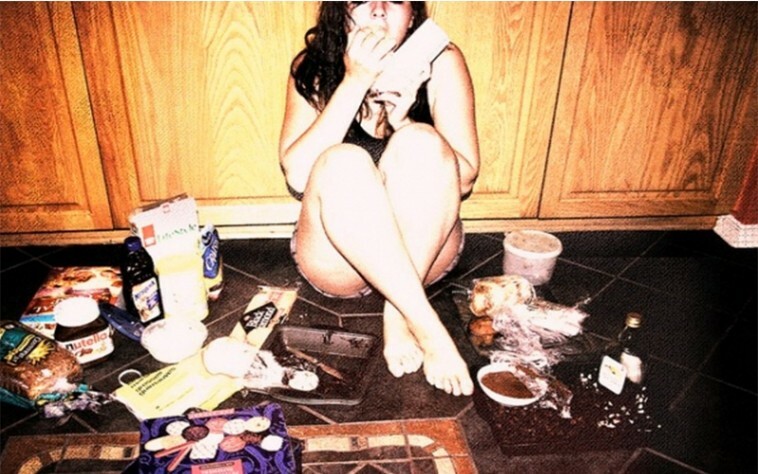 About five million women in America have a binge eating disorder, which calculates to roughly 3.5% of the population. This isn’t a fleeting issue, it’s a real life, living, breathing thing. And like many of you reading this, I had it as well. 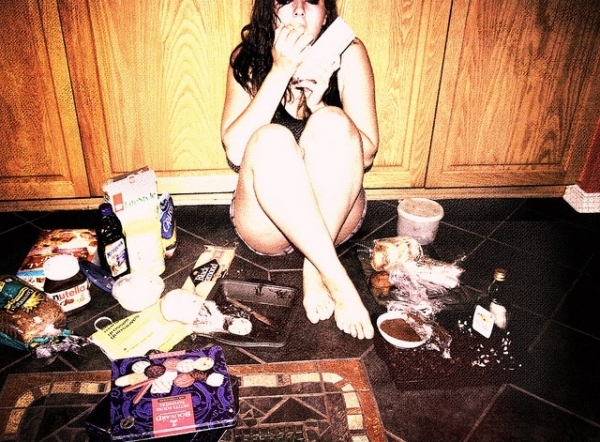 In my late teens, I suffered from emotional binging, where I would eat to calm my anxieties and get a rush of happiness. Gorging down large amounts of food gave me temporary comfort and a sense of security. But after that feeling of security passed, I felt low. Nevertheless, I didn’t know it was a serious condition until my health sank. Sneaky Lies: I started lying about what I was eating and where I was going to hide the fact that I was stuffing my face with fat and sugars. Often, I would sneak into the kitchen late at night to scavenge through the refrigerator, and eat a pint of Ben and Jerry’s ice-cream. One time, I snuck in the kitchen while my family was asleep and ate my sister’s leftover pizza in addition to a few other snacks. The next morning, I lied to her about it and she knew it. There was no one else living in this house who would’ve eaten the entire pizza. Bottom line: It reaaally messes up your productivity and mental, emotional, and physical well-being. It’s so much of a psychological yo-yo, you can lose your identity because of the lies you tell people and more importantly, the lies you tell yourself. Enough Was Enough: On one very depressing night, I decided that it was time for a change. My boyfriend and I had just broke up. Since I felt defeated, I wanted something that would pick me up. I went to my kitchen to binge and then headed for the bathroom and cried for a half hour. That’s when I contemplated whether to throw up my food to balance my calories, or sit there revolted at myself. Fed up with this feeling, I decided to seek help. After researching for hours online and talking to a specialist, here’s the most important thing I learned about binge eating: It thrives thanks to a set of habits. To get over my bad relationship with food, my goal was to first understand all of these habits, and write them down every time I fell victim to them. If I scored well on a test, my reward was a cupcake or something sweet. Why? Because we’re socialized this way. So when this would happen, I’d immediately note that this was one of the habits I needed to break. Instead of eating as a reward, I tried rewarding myself in other ways: Trying something new like visiting a museum—something I would never regularly do. The idea was to change how I rewarded myself altogether. This is probably the most harmful of the habits. I would eat out more than four times a week, and the most normal time to eat out for me was during the weekends. The problem with eating out was there were no signs that told me how many calories I was actually eating. And even if I thought I knew, there were still hidden calories that were cooked and marinated into these dishes. It was easy to exceed my normal daily caloric intake. Literally, I solved this problem by cheffin’ it up. I told my friends and myself that I wanted to stay away from restaurants to focus on my cooking skills. And guess what? They respected me for it. Plus, I was able to take control of what I was putting in my body by cooking it, which brings me to my next point. The recommended daily intake (RDI) amount of calories for women is 1,400–1,800 and 2,400–3,000 for men depending on activity level. But if you have no idea how many calories you’re consuming each day, you can easily underestimate the amount and pack on the pounds. If you are keeping track of your calorie intake, you will likely not pack on the pounds. Especially if you are cooking your own food. You’ll have a better estimate of how many calories are in these foods you cook. You don’t have to count every little morsel of food you eat, but it’s good to be aware of the amount of calories you are consuming on a daily basis. This will help you understand if you are going overboard over the weekend or with cheat meals. You know when you are eating out with someone who orders something that looks really tempting but it’s absolutely loaded with calories. S/he may offer you a bite. And because you’re just dying to try a little taste, you want to accept, but you decide not to because you don’t want to mess up your “diet”. This may be revolutionary for some, but you can accept the food, you just don’t want to trigger a binging episode. Instead of restricting yourself throughout the week and then binging for a day or two, beat the pressure by not limiting what you eat, as long as you are keeping track of your caloric intake. Don’t limit what you eat, limit the calories. I struggled with this too. It’s important to remember that if you eat more calories than your body burns, you will gain weight. If you eat less, you will lose weight. If you eat the amount your body burns, you’ll maintain weight, and it’ll be just right. 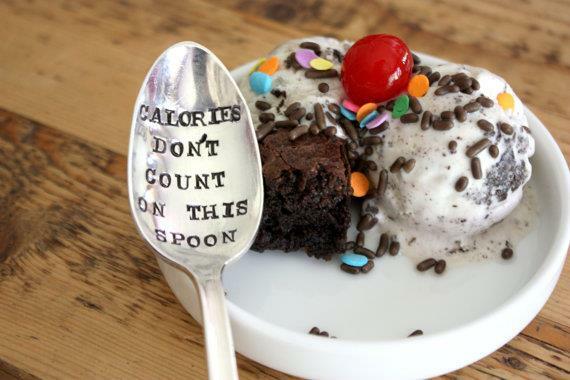 Once I understood this, I figured out how many calories my body actually needed. The less control you have over the food you keep in your kitchen, the less control you’ll have over your eating habits. For example, if you bring food to areas outside of the kitchen, like the living room or bedroom, you’ll see it and eat it more often. Keep food in the kitchen where it belongs. I kept food away from me and implemented a “Food is Only For The Kitchen Rule.” The more food that was around me, the more I’d want to eat. 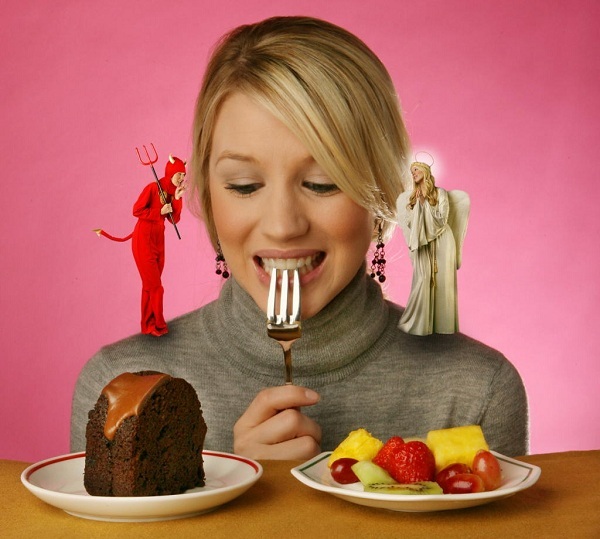 The idea is to stop tricking yourself with hidden foods, and keeping little unhealthy snacks around. 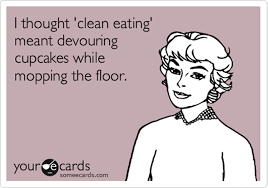 If it was “clean food,” I thought it was okay! I figured I could eat as much of it as I wanted. Wrong! Whether it’s “clean” or “dirty,” too much of it is going to make you gain weight. Once I knew the truth, I stopped making excuses for my habit. I began estimating the amount of calories I was eating. Soon, I was able to control my intake better. Here’s the biggie: I would easily get stressed out. There were many opportunities for my stress levels to rise, so it was easier to revert to binge eating. I looked on the bright side. When things didn’t look so good for me, I’d focus on what was going well. I stayed away from negative people and things. They deplete the positive ions! I focused on what I enjoyed doing, and did those things daily. I appreciated little things like generous actions and small victories. 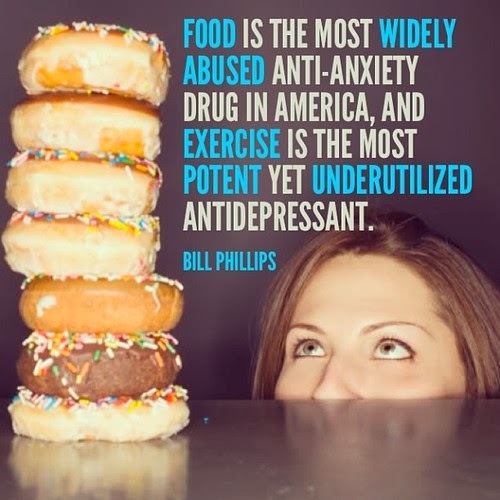 Binging is beatable, and it behooves you to learn more about nutrition and health in order to be binge-free. *This article was assisted by my experiences, studies, and the book Nutrition: Concepts and Controversies.